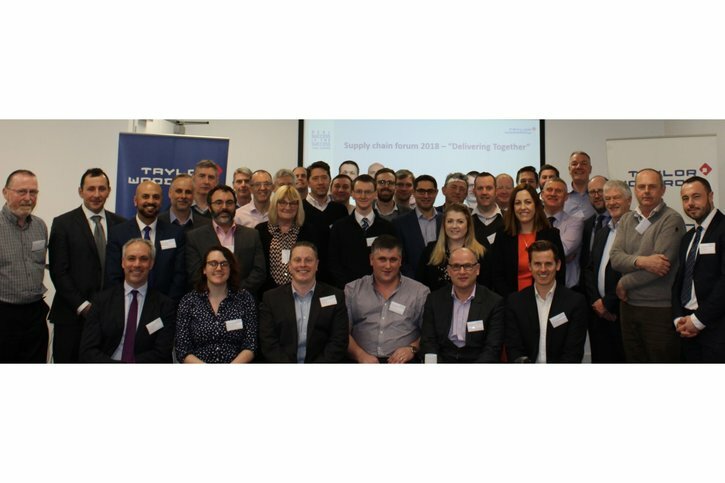 On Wednesday 28th March, Taylor Woodrow held its ‘Delivering Our Future’ forum attended by strategic supply chain partners. This inaugural event aimed to embed a collaborative relationship between all parties. Members from the strategic supply chain partners were invited for a morning of engagement aligned with Taylor Woodrow’s vision and strategy. In addition to communicating relevant Health & Safety, Environment, Quality, Lean, Digital and Productivity aspects, the forum was a significant opportunity to obtain feedback on how Taylor Woodrow and its supply chain can improve its working relationships, remove blockers to successful delivery and increase productivity. The valuable outputs received are currently being reviewed and an action plan will be produced and implemented accordingly. Attendees from supply chain partners found value in understanding the business objectives and focus’, which gives them greater insight into the thinking behind initiatives and practices on site. The event clearly demonstrated the recognition of the importance of the supply chain for successful delivery - together. Feedback received to date has been extremely positive.